Harvey M. Levin, DDS, PLLC (Washington) - Book Appointment Online! Please use the insurance card capture when you schedule your appointment! 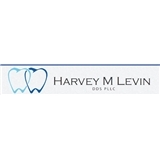 For more than 30 years, Harvey M. Levin, DDS has served Washington, DC and the surrounding communities in Maryland and Virginia with top-quality general, cosmetic, and restorative dentistry. Along with our team, Dr. Levin looks forward to helping you achieve an ideal state of dental health and a truly beautiful smile.Voted "Top Dentist" by his peers in Washingtonian Magazine since 1985, Dr. Levin has been providing top-quality dental care for more than thirty years in the Washington, D.C. area. Dr. Levin is considered a master in restorative, cosmetic, and implant dentistry. He was great. Thorough and had a good sense of humor.